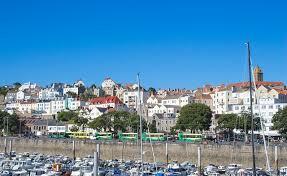 Compare Car Hire at Guernsey Airport - Cheaper MPV, SUV, Estate & Minivan Rental Rates. Get good quality, but cheaper Guernsey Airport car hire today. Only small, manual, economy and compact, cars are available. No automatics. Need collect at airport, as no depots currently at the harbour, or in the capital, Saint Peter Port. The companies we use, are Europcar and Avis, both of whom have their vehicles at the airport. If 25-75 years, then prices shown apply both, or and price up to 79 years with Europcar, and also 80-84 years okay with extra daily fee. Drivers aged 23-24 can hire with both for an extra fee, but if 21-22 years, then need use Europcar, with additional paid locally. Avis are full to full, whereas, Europcar is get with a quarter tank and return empty, based on 3/4 day rental. Free changes and cancellation (within terms), mileage, breakdown, theft. third party and insurance cover. Depends on vehicle size, but both start off at GBP1,000 excess deposit. These are the amounts held against your card for any damage, unless you take out their extra insurance on arrival to reduce the amount. Or you can buy cheaper Excess Cover Insurance during the booking process from us, so you get your money back in the event of a claim. As usual, no cover included for damage to/or loss of tyres, windscreen, glass and undercarriage. This is where Excess Cover also becomes handy..
Save on driving costs at Guernsey Airport. Book yourself a cheaper SUV and MPV in Guernsey today. Great convertible rates, but book before someone else does. 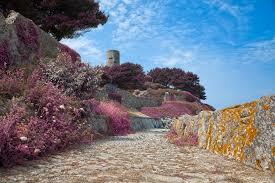 Guernsey is the perfect choice to hire a car, for a short break to recharge the batteries. It is blessed with a temperate climate with abundant clean beaches. The capital is St Peter Port. As the name implies is a harbour town with a cosmopolitan flavour. It offer bistros, seafood restaurants and small boutiques, that offer fashion that will not be found in the normal high street outlets. For the tourist interested in history of World War II, visit the German Occupation Museum which documents in artifact display and video, the life of the islanders in the five year occupation. The Channel Isles are famed for their clean beaches. 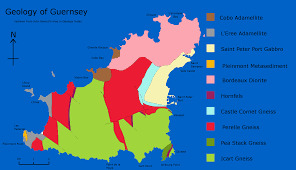 Of Guernsey's twenty five beaches, three have received recommendations on the Good Beach Guide, namely L'Eree, Grandes Rocques and Port Soif. 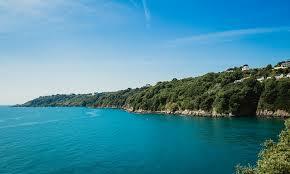 Most of the other beaches have passed the minimum water quality standards as set by the European Union. See if we can also help you save on your hotel booking. look for the hotel link. Off to Jersey also? - Check here if looking for a convertible in Jersey?.